The RYA VHF Radio On-line course (Short Range Certificate (SRC) course) can now be completed wherever it suits you; at work, at home or while you are travelling. When you register with Howellsail for the online course, you will receive a login and a password to the RYA Interactive site. Upon completion of the online course you complete a short practical assessment which is easily arranged at a time and date to suit you. The course takes between 4 – 8 hours to complete online. (NOW AVAILABLE ON IPAD). The online format means you can learn anytime, anywhere – so long as you have access to the internet. If you like the idea of taking the course in this way, please take a look at the Free Trial, this also ensures that your computer is compatible, and then go to our booking page to sign up and pay online. includes Personal login and access to the RYA Interactive site. 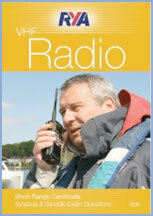 RYA VHF Handbook (G31) incl. P&P. Either hard copy or Ebook, depending on your location (overseas Ebook ONLY). Unlimited email, telephone and Skype support from our experienced instructors. Either hard copy or Ebook, depending on your location (overseas Ebook ONLY). Upon completion of the online course, you will need to take an assessment before you can be issued with a licence. This can’t be completed online and must be carried out at an RYA Centre, at a cost of £60 – We do not charge Howellsail students for conducting the assessment. The assessment takes approximately 1 hour. You will need to bring along a passport sized photograph of yourself. A range of flexible venues are available for assessments, please contact us for advice. Informative course, well suited to my needs. Clear instruction and friendly teachers. Should you have any difficulties we provide a full back up service whereby you can contact us by email or phone. Your questions will be dealt with promptly by a fully qualified RYA Instructor. We also have reciprocal arrangements with some sailing schools around the UK, Menorca, Gibraltar, Tenerife,& Gran Canaria, & Croatia where having successfully completed the course online, you can arrange to carry out your VHF Assessment if you wish. 1024 x 768 screen resolution – this must be available screen space (menu bars, docks or task bars may conceal part of the course window on smaller screens). Mac Intel processor OS X 10.7 (Lion) or above. Older generation iPads may have performance issues. We strongly recommend installing the SRC Taster Course before buying the full course to check that it will work on your device. 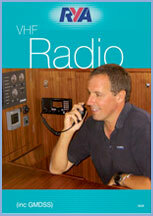 This book is essential background reading for anyone taking a VHF radio course. It covers all radio procedures from routine calls to urgency & distress & includes an explanation of the new GMDSS (Global Maritime Distress & Safety System) requirements. 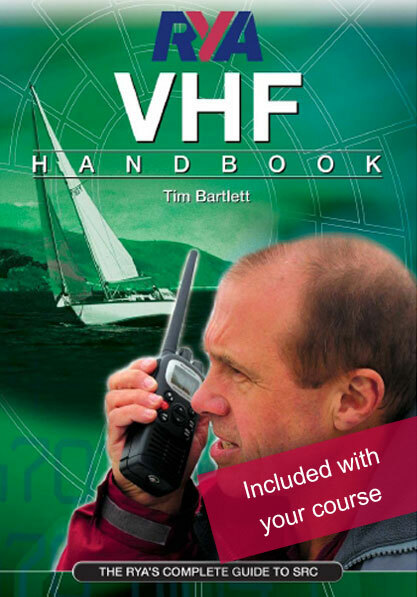 This 3rd edition is ideal for anyone preparing for their VHF Operator’s Short Range Certificate (SRC) examination as it lists the syllabus & includes practice questions to help you prepare for the SRC written test. The Short Range Certificate (SRC) is the radio operator qualification which authorises the holder to operate a VHF radiotelephone, fitted with Digital Selective Calling (DSC), on board any British vessel which is voluntarily fitted with radio equipment. The syllabus for the SRC was designed by the Conference of European Posts & Telecommunications (CEPT) as a standard qualification for the operation of equipment using procedures & techniques of the Global Maritime Distress & Safety System (GMDSS).